Home » Supplements » Pre Workout » Are Pre Workout Supplements Bad For You? ​Pre workout supplements are a booming business and many people rage about them. You may even feel like you NEED to take a pre workout to improve your edge in the gym or on the track. It is pretty normal for athletes and us normal folk to take them. If competitive athletes are taking them though, then they can't be all that bad can they? or are they? 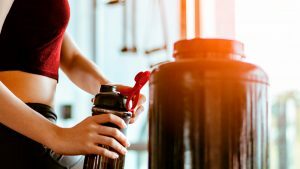 ​What Exactly Is A Pre Workout Supplement? 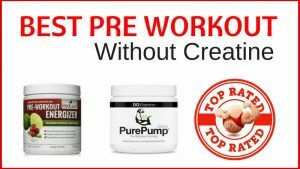 Are The Ingredients Found In Pre Workouts Safe? So, Are Pre Workout's Bad For You? A pre workout supplement is something you take before you work out. This is usually taken about half an hour to an hour before your workout is to begin. A pre workout supplement can consist of a number of ingredients that are suppose to help give you energy and mental focus for your workout. The benefit of this is that it can help you get the very best out of yourself and therefore out of your workout. This in theory, should then translate to better gains from the effort you put in. Workouts may feel easier too if you have some help with motivation in this form. The ingredients can vary but generally speaking pre workouts contain similar ingredients. For the basis of this article, I am going to focus on the most common ingredients to make things simpler. If there is an ingredient that is different in the pre workout you wish to buy, I recommend researching its pros and cons to figure out if it is ok to take. Caffeine is on the main ingredients in most pre workouts. 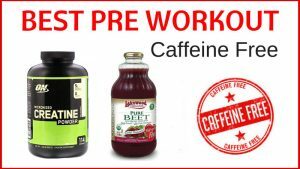 If you are sensitive to caffeine you can get pre workouts without it but generally it is what you will find in most of the supplements on the market. Caffeine is a natural stimulant that works by stimulating the central nervous system and brain. It helps you stay awake - which is why a lot of people drink it in the morning before they set off for work. Caffeine can actually be quite good for you. There are numerous benefits to taking caffeine. The benefits for a pre workout are that it can improve mood and brain function, essentially allowing you to focus better on your workout. If you are feeling quite rubbish, a bit of caffeine to pick you up before you start your workout may just be the answer. One review showed that caffeine improved short term recall, reaction times and alertness - which are all needed when working out (1). It can also enhance exercise performance by improving your intolerance to fatigue and improving muscle contractions (2). So far this sounds great for caffeine and generally caffeine consumption is realtively safe. However there is a limit to what you should take. Caffeine is addictive and can have some pretty negative side effects. Side effects can include trouble sleeping, anxiety, restlessness, headaches and high blood pressure in some people. The recommended upper level of caffeine per day is 400 milligrams. This is the safe amount. The problem with pre workouts are that they tend to contain quite a bit of caffeine. Typically a pre workout will contain around 80-150 milligrams of caffeine per serving. Some extreme pre workouts contain 300mg! If you drink coffee during the day and take a pre workout then it is easy to see how easy it is to go over that 400mg MAX daily amount. Regularly taking high levels of caffeine a day, even if under 400mg, may also have long term negative effects to your health. Taking too much caffeine can result in some serious side effects. If you take a high amount daily then you will likely become addicted too. If you find you are experiencing dizziness, headaches, irregular heartbeat, chest pain and trouble breathing - you may want to reduce your caffeine in take and cut down on the pre workout. Alternatively you could try a caffeine free pre workout instead. ​Bottom Line: ​Caffeine is safe as long as you are staying under 400mg daily. Be careful though, as pre workouts can contain anywhere from 80-300mg of caffeine, so make a note of your daily intake including caffeine you get elsewhere (i.e. cups of coffee). 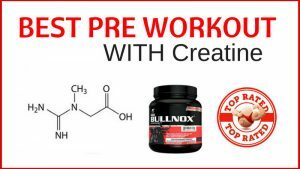 Creatine is another staple in most pre workouts. Creatine is helpful for increasing energy during high intensity workouts. Creatine is stored throughout the body in your muscles. During high intensity exercise., stored creatine helps the muslces produce more energy, ehnahcing exercise performance. Excess creatine is broken down, metabolized by the liver, then excreted in urine. The International Society of Sports Nutrition considers creatine to be safe and also suggests it is one of the most beneficial sports supplements available (11). One study investigated 52 health markers over a 21 month period of participants taking creatine. They found taking creatine long term does not cause any adverse effects (12). Another study conducted over a 4 year period, also conclued no negative side effects from creatine supplement either (13). You can't really ask for more on that when it comes to safety concerns. So if you pre workout contains creatine - you can rest assure that it isn't bad for you. ​Bottom Line: ​​Creatine is cheap, safe and effective. L-Arginine is an essential amino acid that synthesises nitric oxide. Nitric oxide is made and released by the cells that line your blood vessels. When released, it dilates blood vessels, creating better blood flow. This means it helps bring nutrients and oxygen to muscle and joint tissues. It also gives you better muscle pumps during exercise. L-arginine also is used by the body to increase production of human growth hormone and several other amino acids including creatine and l-glutamate, which are both effective in helping exercise performance too. L-arginine can also help build stronger muscles even when you're not working out. A 2007 study evaluated the use of 3g of l-arginine per day by 20 healthy males. They compared this to the use of 1g of l-arginine and 1g of vitamin c as well as 1g of vitamin c separately. ​Fighting inflammation - which is great as exercise causes some inflammation. L-arginine can have side effects, particularly if you are using more than is recommended. For someone who is generally healthy. 1 gram a day is usually recommended. These studies have shown that l-arginine consumed orally has no adverse effects. It also showed that if l-arginine is not utilized within 4-5 hours, then it is catabolized. The studies also indicated that around 6-15g daily for an adult weighing 70kg is tolerable long term and has no adverse effects. ​So the typical dose of 3g a day used for exercise is safe and well tolerated (17). Therefore we can conclude, l-arginine as another ingredient in pre workouts that isn't bad for you. ​Bottom Line: ​​​L-arginine is safe and studies have shown there are no adverse effects from using it regularly. Beta Alanine is a non essential amino acid which means the body can product it itself. Beta alanine with the help of histidine, produces carnosine, which gets stored in your muscles. Carnosine reduces the accumulation of lactic acid in your muscles during exercise so you are able to train for longer with less fatigue. It has also been shown to be effective for women as well as men. Beta Alanine has one side effect which is a tingling sensation in the skin - usually in the face. This may be uncomfortable but is completely harmless. According to the Natural Medicines Database, beta alanine is rated as possible safe for use in adults but up to doses of 6 grams daily. Generally 2-4 grams has been used safely for 90 days. There is no real research on the long term implications of beta alanine use. The longest studies have been around 12 weeks, where no adverse effects had been noted. Although currently it seems beta alanine IS safe to use, due to the lack of long term studies, we can't be 100% certain of that. At the moment though it appears to be ok.
​Bottom Line: ​​​​ Beta Alanine is considered safe with short term use but no long term studies have been done. Pre workouts can contain quite a bit of sugar and this is something that can be bad for your health. Therefore try to pick a pre workout with zero content or low sugar around 1g. If it is a case between real sugar and artifical sugar - opt for the real. Some artificial sugars can be worse for you. Some pre workouts will also contain artificial flavorings and colors Some of these can be unfavourable to your health and you may even react to them. They are also worth avoiding too. Pre workout supplements aren't considered drugs but are placed under a special food category. ​They are unregulated, meaning it isn't reviewed or regulated by the Food and Drug Administration (FDA) for ingredients, safety or effectiveness. As a result, you are basically placing your trust in the Company providing the preworkout, to be honest and transparent about what is in their supplement and whether it is effective. This can lead to a whole host of issues in the pre workout supplement world. Some Brands do not list all the ingredients their product contains. They can hide them in a "proprietary blend". As a result, you may not know how much of a certain ingredient is in it and this can be problematic if you intend to be quite strict about how much of a certain ingredient you want to take on a daily basis. As well as ingredient list transparency issues, some preworkouts can also contain illegal substances but you may not even know about it, until it's too late. 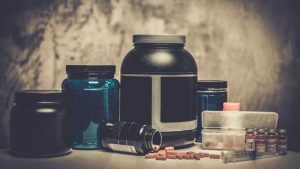 For example, the Food and Drug Administration filed criminal charges against USPLabs because they found that some of their supplements contained an amphetamine precursor called DMAA. This ingredient is quite dangerous and is not on the FDA's approved ingredient list. So if you end up picking the wrong product, then you could be putting your health at risk without even realising it. There is also the consideration of effectiveness. Because this type of supplement is unregulated, the research that company's cite maybe shaky too. Although there may be dubious supplements on the market; if you research your product properly then the likelihood is your pre workout should be fine to take alongside a balanced diet. The best pre workouts have quality ingredients and care about what they fill their product with. Before buying a preworkout the International Society of Sports Nutriton recommends you research the science behind claims a supplement company makes about their product by looking at the ingredients and seeing whether there are any studies that determine whether it improves performance and recovery. We would also recommend looking at a pre workout's sugar content and whether it contains any artificial flavors or colors. Pick a Brand that has a low sugar content and doesn't use artificial colors and flavors. There are lots to choose from. Some products have a certificate to say they have been tested by a third party. Some will state this quite proudly particularly to prove no illegal substances. Some proprietary blends will tell you how much of each ingredient is in it but most won't. This means you can't be sure of how much of a specific ingredient you are consuming and as a result you will never know if you are within recommended guidelines or overdoing it regularly. So stick with products that tell you all ingredients and in what amounts. Although you can go to some lengths to ensure what you are consuming, pre workout supplements are unregulated so you do need to be careful when buying. ​(15). Santos R, Pacheco MTT, Martins RABL, Villaverde AB, Giana HE, Baptista F, et al. Study Of The Effect Of Oral Administration Of L-arginine On Muscular Performance In Health Volunteers. : An Isokinetic Study. Isokinetic Exerc Sci. 2004;15358.